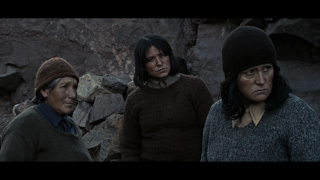 Based on a true story that occurred in 1974, this is the tale of sisters Justa, Lucia, and Luciana Quispe, shepherds in the Chilean altiplano who lead a solitary life. A visitor brings news about a law that might change their way of living. This event forces the women to question their existence and relentlessly brings them to a tragic end. LAS NIÑAS QUISPE features the talented Francisca Gavlián (VIOLETA SE FUE A LOS CIELOS) and Catalina Saavedra (LA NANA). This is director Sebastián Sepúlveda’s return to Cine Las Americas after a successful screening of O AREAL in 2010. Sebastián Sepúlveda was born in Concepción, Chile in 1972. After eighteen years spent between Europe and South America, he returned to Chile in 1990. He studied Editing at EICTV in Cuba and Screenplay at La Fémis in Paris. 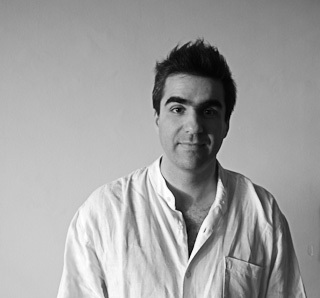 In addition to his work as a screenwriter (YOUNG AND WILD) and editor (LA LEON), in 2008 he directed the documentary O AREAL (THE SANDPIT) before beginning work on LAS NIÑAS QUISPE.